A. 90psi with assembly no. 02Y application for bicycle and motorcycle , hose standard length 36cm hose length can add to 60cm , 100cm even150cm depend on your request. our hose is oil - resistant rubber hose. 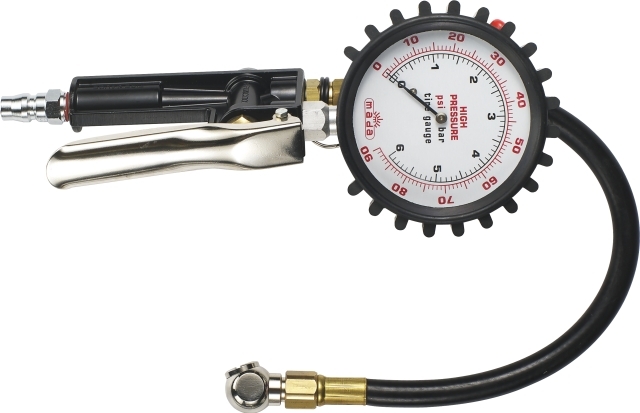 **Synchronously displays two pressure units PSI and BAR on the tire guage. Copyright © 2019 MADA ENTERPRISE CO., LTD. All Rights Reserved.